*If we seem a little sleepy and jet-lagged this week, blame our annual excursion westward to the NAB Show in Las Vegas. It was great to see so many of you at our third-annual pre-show Radio Gathering Sunday night high atop the MGM Grand – we’re already looking forward to making the fourth edition next year even bigger and better. As for the show itself, we find ourselves with surprisingly little to write about this year in this space. While the show floor was busy and full of familiar faces, there wasn’t much that was revolutionary this year. On the TV side, the impending spectrum auction/repack left most broadcasters and vendors in hurry-up-and-wait mode; nobody knows yet just what their RF needs will be in a year’s time, after all. In radio’s space in the North Hall, there were plenty of incremental improvements in areas such as audio-over-IP networking and ever more efficient solid-state transmitters. On the regulatory front? More of the waiting game, especially with an election year promising change of some sort at the FCC in just a few months. Commission officials attending the show promised action soon on the latest round of the “AM revitalization” proceeding, among other pending matters. And of course the other piece of the radio waiting game involved some of the industry’s biggest players: nobody knows yet just how the finances will shake out at troubled iHeart Media or Cumulus, and what may become of CBS Radio’s talk of selling its station assets or spinning off into a separate company. With all those potential deals landing on the market in months to come, the immediate deal-making scene over at Encore and the Bellagio was slower than usual this year. *Back home, MAINE Public Broadcasting announced a move that had long been rumored: effective May 9, it will split its programming into two networks, creating a full-time classical service alongside a main network that will go full-time news/talk. MPBN CEO Mark Vogelzang made a similar move a few years ago at his old job in Vermont (and we were pleased to be of assistance there, as we’ve been to MPBN). This time out, Maine Public Classical will make its debut over a network of translators, HD2 signals and streaming. In Waterville and Bangor, the classical stream has already soft-launched on translators at 99.7 and 106.1, respectively; those will be joined in western Maine by WFYB (91.5 Fryeburg), which MPBN is buying from Light of Life Ministries. In Portland, listeners will have to tune to the HD2 channel of MPBN’s WMEA (90.1), at least for now, but Vogelzang says MPBN is seeking to buy new signals there and in other parts of the state. Maine Public Classical will be the new home for Robin Rilette’s 9-noon classical show, which will move from the main Maine Public Radio network. The rest of the classical lineup, at least initially, will come from Classical 24 and other syndicated offerings. On the news-talk network, Diane Rehm will now get a live 10-noon clearance for her final few months on the air. “On Point” will also air live at 9. At noon, Maine Public Radio will carry “Here and Now,” followed at 1 by the statewide “Maine Calling,” which expands to five days a week. *How many markets are there where a single broadcast license is probably worth more than every other broadcaster – or even print media – in the market, combined? Last week’s $10.25 million sale of WAGM (Channel 8) in Presque Isle, MAINE reminded us that New England’s northernmost market is one of those rare places – and that WAGM’s longtime ownership group is a pretty interesting company, too. Along the way, WAGM has been through some big changes for such a small station. Originally a three-network affiliate (primary CBS, secondary ABC and NBC), channel 8 added some Fox content in the 1990s and then gradually dropped its remaining ABC and NBC shows. 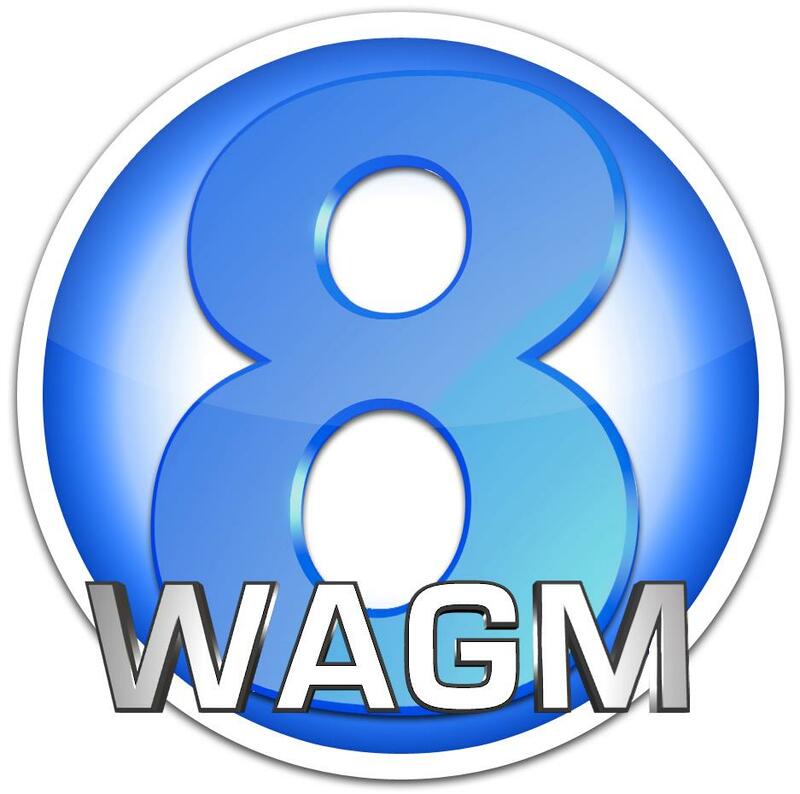 With the advent of DTV, WAGM became a two-network outlet, and despite its long relationship with CBS, it’s now Fox on WAGM’s standard-def 8.1 channel and CBS in HD on 8.2. For Georgia-based Gray, WAGM will be its first station in the northeast. Aside from geography, though, WAGM is a good fit with Gray’s business model: the company specializes in small markets, some even tinier than Presque Isle. In many of those markets, Gray is in a similar position to northern Maine: it’s the only operator of network affiliates, carrying multiple networks on DTV subchannels and low-power stations. Could NBC or ABC (now provided on cable or satellite from Bangor) be in the future for WAGM? *Western MASSACHUSETTS is back to being a two-TV-newsroom market, now that Meredith has combined its recently-purchased WGGB (Channel 40) with “CBS 3” (WSHM-LD 21), whose 2005 launch of local news led to a decade of three-way competition in the Pioneer Valley. “Western Mass News” is the new umbrella branding for newscasts on WGGB’s ABC and “Fox 6” channels and on “CBS 3,” and its launch at noon on April 21 meant the closure of the former WSHM newsroom/studio in downtown Springfield’s Monarch Place building. The entire “Western Mass News” operation is now at the WGGB studios on Liberty Street, and here’s how it shakes out: in mornings, when WSHM wasn’t doing local news anyway, the local news will continue to be seen on WGGB (5-7 AM) and on “Fox 6” (simulcasting with ABC from 5-7 AM and with fresh Fox-only content from 7-9 AM). WGGB’s existing noon show continues as well. WSHM’s 4 PM newscast is now “Western Mass News at 4,” still exclusively on “CBS 3.” WGGB has “Western Mass News at 5” and 5:30, and “Western Mass News at 6” and “Western Mass News at 11” are being simulcast on both WGGB and CBS 3. The “Fox 6” newscast at 10 continues as “Western Mass News at 10,” and weekend newscasts will be exclusively on WGGB and Fox, except for an 11 PM simulcast on CBS 3. For the last few months, we’ve been closely following the peregrinations of a new FM translator as it’s migrated around NEW YORK City and vicinity, and now it appears to have found its permanent home.The translator owned by Michael and Tammy Celenza (as “Apple 107.1, Inc”) started out as W296BT (107.1) in Brooklyn, then slid across the East and Hudson rivers to become W293BU (106.5) in Union City, New Jersey, operating only long enough from that location to get a license to cover – and to file for its ultimate move, back across the Hudson to the top of Four Times Square and down one notch on the dial to 106.3. Now the FCC has granted that move, and speculation is running rampant on the future of this new 99-watt signal from midtown Manhattan. Will the new W292DV continue to relay the country format from the HD2 channel of Clear Channel’s WLTW (106.7), or will it become the home of a new format sourced from a different HD subchannel or AM outlet? And as long as the speculation is floating around out there, it’s worth noting that another new Big Apple FM signal is moving closer to the airwaves: after months of preparation, it appears that EMF Broadcasting is getting pretty near to launching the relocated 96.7 signal it’s acquiring from Cox. In its current incarnation as WCTZ, “96.7 the Coast” is telling listeners to adjust their dials to another Cox station in CONNECTICUT, WFOX (95.9 Norwalk), and we’re told an antenna is now in place atop the Trump tower in New Rochelle for the new 96.7 “K-Love” signal, for which the WKLV-FM calls were requested back in January. The end arrived Friday for one of the most publicized morning shows in recent history. After less than five months on the air, CBS Radio pulled the plug on the floundering David Lee Roth show (heard in NERW-land on “Free FM” flagship WFNY-FM 92.3 New York, WBCN 104.1 Boston and WYSP 94.1 Philadelphia). It’ll be replaced with a sanitized three-hour simulcast of XM Radio’s Opie and Anthony, the duo who brought down the company’s last attempt at FM talk when they were in afternoons at WNEW (102.7 New York) a few years back. The show’s final two hours will be heard only on XM. From the sounds of Roth’s show recently, the move was little short of a mercy killing, allowing Roth to escape the battles he’s been fighting with CBS management and head out on tour, while giving the former Howard Stern affiliates a more proven commodity in mornings. Out on Long Island’s east end, the AAA sounds of WEHM have returned – sort of – to their original home. Cherry Creek Radio’s been doing some shuffling of its signals in the Hamptons, and it recently moved WHBE (96.7 East Hampton) to 96.9, from a new site about 12 miles west of its original location. With more signal over portions of Suffolk County that can’t hear WEHM on the 92.9 Southampton facility (where the calls and format moved a few years ago, flipping 96.7 to WHBE with Bloomberg business news), Cherry Creek decided last Tuesday to pull the plug on the business news at 96.9, in favor of a simulcast with 92.9. A call swap in PENNSYLVANIA is in the works, with the new CP in Cooperstown getting WHUG-FM, the longtime calls across the state line at 101.9 in Jamestown, New York. Jamestown gets the WMHU calls that were on the Cooperstown CP; we’ll have to get down that way to hear whether a format swap is also taking place. Going way upstate, we hear a Tuesday format change is planned at Utica’s “Wow FM” (WOWB 105.5 Little Falls/WOWZ 97.9 Whitesboro), now that the stations are owned by Clear Channel. PD J.P. Marks stays with former owner Ken Roser, helping to run “Bug Country” (WBGK 99.7 Newport Village/WBUG-FM 101.1 Fort Plain/WBUG 1570 Amsterdam). As of late Monday night, WOWB and WOWZ were simulcasting Clear Channel’s CHR “Kiss” (WSKS 102.5 Rome); we’ll let you know if that turns out to be a permanent move. A few weeks ago, I wrote about now-dark WRPT 1050 Peterborough NH, which according to the Commission had applied to “change city of license and power.” What we didn’t know until know was just how much of a change. It seems WRPT’s new owner, Alexander Langer, wants to move the station more than a hundred miles to the southeast, specifically to Foxboro, Mass. (M Street had this erroneously as “Foxboro NH”) Langer’s application calls for the new WRPT to move to 650 kHz, with 250 watts DA-D, diplexed from the Norfolk MA transmitter/studio site of WDIS 1170. This will be a somewhat tight directional, since Norfolk is just barely north of the 0.5 mv/m contour for WFAN 660 New York. And giving protection to WNNZ 640 Westfield MA and WPRO 630 Providence RI means WRPT’s 250 watts will be pointed mostly northeast…which, how about this, just happens to be the direction of Boston! Clever fellow, this Alexander Langer. (He also owns the license for currently-dark WBIV 1060 Natick MA, which has applied for 50kw ND-D, something that can only be possible with WRPT off 1050.) As for the 650 frequency, there was a longstanding CP for WBSO Clinton MA on that frequency. It was to have been a 10kw DA-2 operation, with a decent signal into Boston and a tight null towards NYC. The CP was granted in 1984 and revoked about a year ago, making this possible. Scott – that 100.3 translator is not from the Pru, it’s from the same tower WMBR is on in Kendall Square. Would like to mention that a new translator has come on the air here in Southington, CT. They both sound very good. Just a Little note to you. Scott – Unless my compass is really messed up, moving WWRV from the 970 site to the 1480 site is more south than north. 970 sits in the swamp north of Route 4 east of Kinderkamack Road behind the mall in or almost in Teaneck, whereas 1480 is still – I believe – at its longtime site adjacent to N. J. Turnpike south of U. S. Route 46. Also, I remember Elton Spitzer as a super nice, super intelligent and soft-spoken gentleman. Had not had contact with him – I’m sorry to say – in years, but he worked for me in sales at WRFM NYC in early 1970’s.